Looking after your mobility scooter calls for regular maintenance and servicing. It ensures your mobility scooter lasts longer and doesn’t need many fixes. Here are some simple tips for taking care of your mobility scooter. And for bigger problems, we at Mobility Direct North can help sort them out for you. Want your mobility scooter in top form all the time? Regular cleaning is the answer. Oil, mud and dirt that you pick up on your daily travels can wreak havoc on the parts and cause metal erosion too. Regular cleaning not just helps your mobility scooter look new, it helps extend its life too. Moreover, when you clean your scooter regularly, you don’t miss out on cracks or faults that can cause more serious damage. Get in touch with Mobility Direct North today for an assessment and servicing. The first place to check for wear and tear is the wheels and tyres of your mobility scooter. Harsh weather, incorrect or heavy usage can lead to tyre damage. You also need to make sure the pressure is always correct. Over- or under-inflated tyres can lead to skidding. Worse yet, you may lose control of the scooter. Loose nuts and bolts can be dangerous as the wheels may not be secure. Any rattling sound is an indication you need to get your mobility scooter thoroughly checked by a professional. 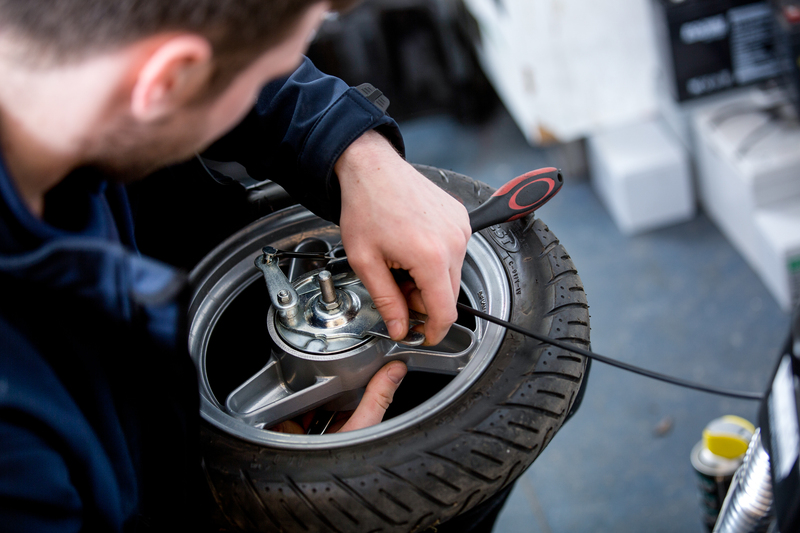 We can help with all types of tyre repairs and replacement for mobility scooters in Newcastle and the neighbouring areas. Always recharge the batteries completely after every use. In case you are not using your scooter for long periods of time, make sure you recharge the batteries once every fortnight. Frost and cold can damage the batteries. One way to protect the batteries is to bring them in when it gets very cold. Storing your mobility scooter in a dry place can help protect the lights, horns and indicators and add to their longevity. If you need to use the scooter when it is raining, use a waterproof cape for protection. Need expert servicing help? Talk to us at Mobility Direct North. We provide a wide range of mobility scooters (including road, pavement and boot scooters) and mobility aids in the North East. Whether you are looking for mobility scooter servicing or have a question, we are happy to assist.